Maurice Lacroix has kept gear heads enthralled for nearly eight years since the debut of its first Masterpiece Roué Carrée. 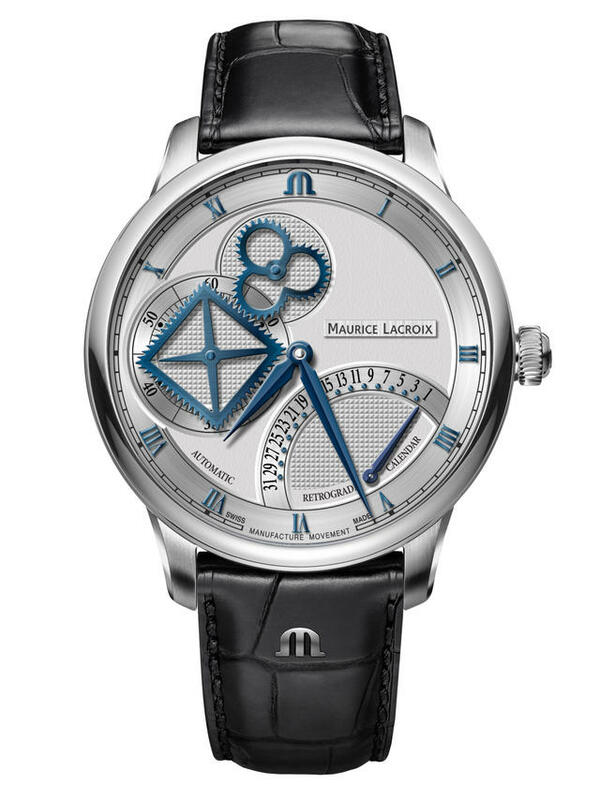 The dial-side meshing of square and cloverleaf-shaped gears endlessly fascinates enthusiasts, and Maurice Lacroix has presented fans with numerous iterations of the design in the years since. Few watches inspire gear gazing at a higher frequency. This year, the firm meshes another of its best-known displays, the retrograde calendar, with the square-cloverleaf combo to offer the Masterpiece Square Wheel Retrograde. 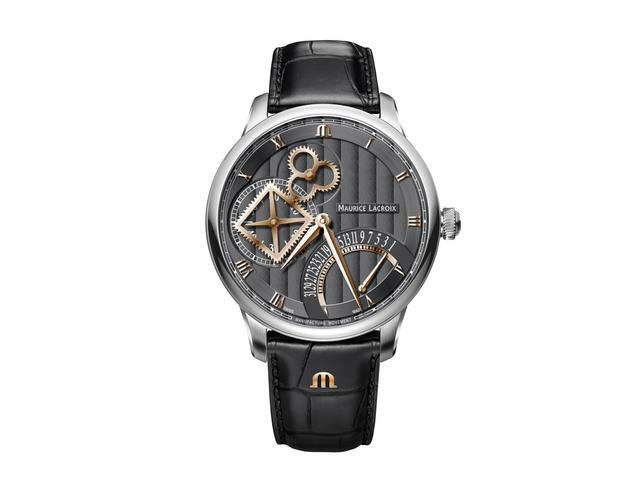 Made in a 43mm stainless steel case with two optional dial colors, the 43mm Square Wheel Retrograde from Maurice Lacroix now features a fan-shaped retrograde calendar at 5 o’clock in addition to its emblematic squared and geared seconds indicator at 9 o’clock. For many years, Maurice Lacroix’s Masterpiece collection attracted collectors who marveled at the dial-side retrograde displays distributed artfully around beautifully finished dials. While the Masterpiece lineup now focuses on the firm’s Gravity and Mysterious Seconds models, plus a selection of interesting contemporary skeleton watches, you can (happily) still find several classic retrograde models anchoring the collection. The latest Square Wheel movement, in-house automatic movement ML258, has a power reserve of 36 hours and features rhodium-plated bridges and a rhodium-plated skeletonized rotor with vertical Côtes de Genève. The gears, hands and indexes are made with two options (blued or rose-gold-plated) over a silver or anthracite dial. The black alligator “easychange” leather strap is secured by a stainless steel folding buckle. Price: $7,490.